The best credit card is a discovery that will amaze you. 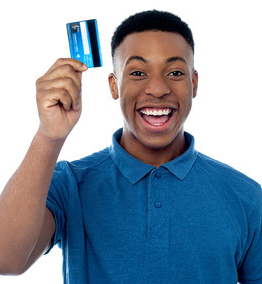 Is the Discovery card the best credit card in South Africa? Discovery has branded itself as a household name in South Africa. The credit card is offered as part of a wide range of financial services and is seen as the best credit card available on the market. Shop and Earn. Clients are given up to 20% cash back when using their credit cards. Travel Rewards. Up to 20% cash back when booking holidays with Contiki, World Leisure Holidays or Royal Caribbean International. Discovery Miles. Earn miles on all qualifying purchases. You can use these rewards on shopping or travel costs, or you can convert them to Voyager Miles or Avios. With the Miles Multiplier feature, you can increase your rewards by up to 10 times at Healthy Living partner stores. The Discovery Miles clients can shop online 24/7. Discovery has linked its shopping mall to more than 30 partners. Health Wallet. Owners can apply for the Health Wallet plan which allows them to pay for daily medical needs. Big Concert Deals. Credit Card holders enjoy exclusive deals, such as privileged bookings, to selected live Big Concerts. Another great offer – use Motor Card for fuel and motor related expenses. Roadside Assistance. Towing, courtesy transport, hotel and car rental expenses. Emergency Assistance. Repair flat batteries and tyres at either roadside or non-roadside locations. Locksmith call-outs offer free labour for one hour, and when running out of fuel you get 10 litres up to a maximum of twice yearly.